Continuing the awards show’s precedent of intriguing mashups in addition to showcasing some of the top songs of the year, the Grammys will feature Daft Punk and special guest Stevie Wonder when the awards roll around at the end of this month. According to Rolling Stone, sources confirmed that the electronic duo and the R&B legend will team up for a live performance at the 56th iteration of the music awards ceremony, though the finer details of the pairing are not yet known. 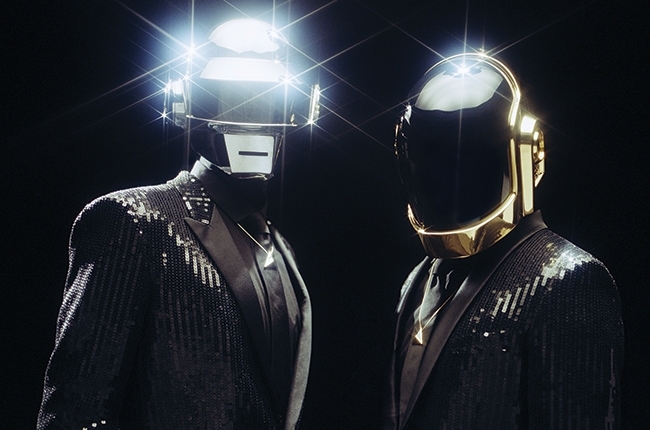 Daft Punk will also be joined by a slew of “Random Access Memories” collaborators, including Pharrell Williams and Nile Rodgers, plus a handful of the album’s session musicians — Chris Caswell, Nathan East, Omar Hakim and Paul Jackson Jr. The performance currently stands to be the duo’s first live performance behind its new album — approaching a year since its release. Daft Punk was thought to potentially be performing at the MTV Video Music Awards last August, an appearance that ended up being a trailer for the new music video for “Lose Yourself to Dance” plus an award presentation. Other announced performances at the ceremony include Imagine Dragons, Kendrick Lamar, P!nk, fun.’s Nate Ruess and a collaboration between Kris Kristofferson, Merle Haggard, Blake Shelton and Willie Nelson.